I first traveled to Paris when I was 13 years old—I participated in an exchange program in middle school—and while I've been incredibly lucky to travel all over the world since then, Paris remains my favorite city in the world. I'll take any chance I can get to visit it, even if it's only for a day or two. This was my fourth time visiting the city of lights, and while it was definitely a whirlwind, it was totally worth it. We only had 48 hours there, but we covered a lot of ground. Here's what we did. By the time we went through customs and arrived at our hotel, it was lunchtime (and we were starving), so we hit the nearby Café Charlot for lunch. It's a bit of a scene, apparently, and the fact that we were seated outside next to two Americans kind of dulled the effect, but the food was delicious and the coffee strong. 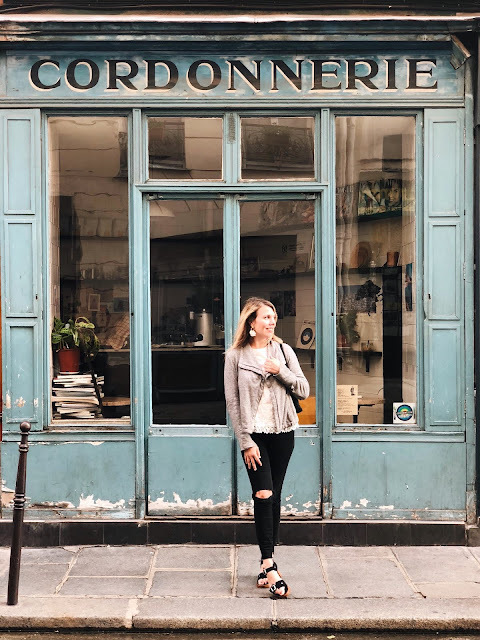 We were kind of jet-lagged and dazed, so we decided to spend the afternoon wandering around Le Marais, the Jewish neighborhood, which our hotel was on the edge of. There are a ton of art galleries, cute parks, and, most importantly, shopping opportunities. 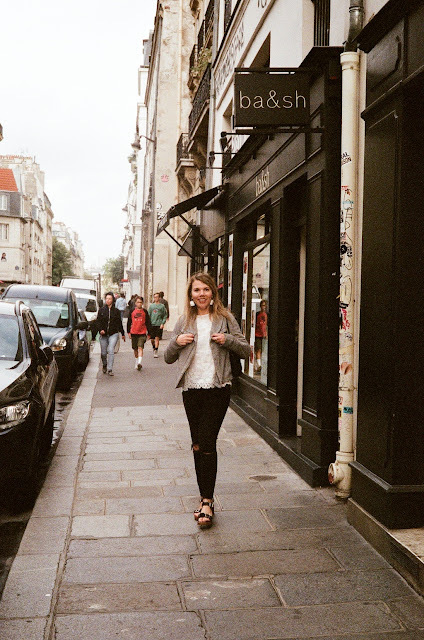 All of the big French brands are here—A.P.C., Ba&sh—but there are some great indie boutiques too. French Trotters has men's and women's clothing, shoes, and accessories, but the true star of the neighborhood is Merci, which has a funky, curated mix of household items, clothing, and accessories. 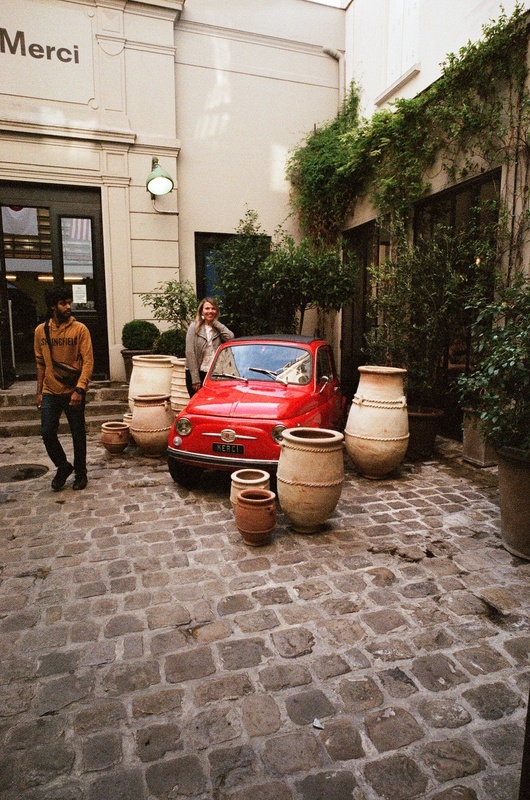 The old Fiat in the courtyard is also an excellent photo opp. Shopping is hard work, so we stopped to refuel at Le Mary Celeste, a lite-bites place with excellent cocktails and a vibe that wouldn't feel out of place in Brooklyn. 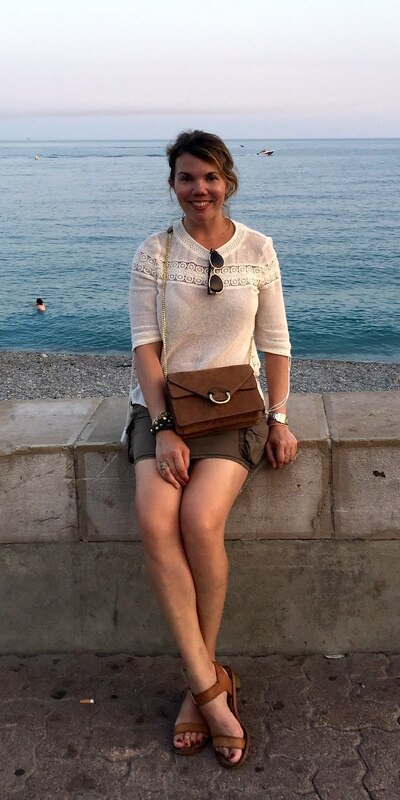 After wandering around a bit more, we stopped for another drink at Au Rocher du Cancale, a café along the Rue Montorgueil, which is a happening little pedestrian street with lots of bars and shops. We made the mistake of not making reservations for dinner (note: this is pretty much necessary for dinner in Paris! ), but ended up at Derriére, a funky restaurant near our hotel. It was kind of like a French hipster version of Ed Debevics, complete with retro decor and sassy waiters, but with much better food and a secret dining room hiding behind a wardrobe upstairs. After a delicious (but typically long) meal, we dragged ourselves to bed. 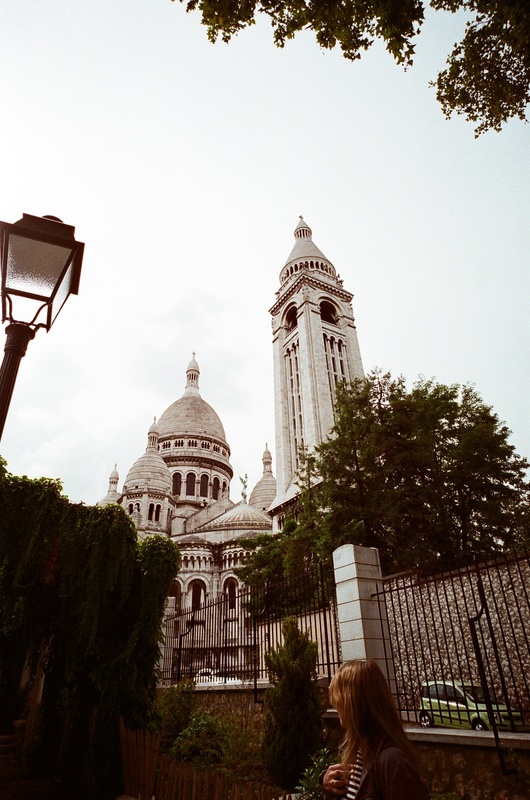 I hadn't been to the Monmartre neighborhood since I was 13, so we bought a one-day metro pass and headed up the hill. Our excellent Monocle guide book had a walking tour through the neighborhood, so we did that, passing by La Maison Rose, the most Instagrammed restaurant in Paris (of course I had to take a photo there), the Love wall, the old art-deco Metro station, and of course, the gorgeous Sacre-Coeur cathedral. Our metro pass also covered the funicular, which I highly recommend taking, both because the hills are treacherous but the view is beautiful. The Eiffel Tower! Special shout-out to Atlantic-Pacific for this photo op location on the right bank (the tower itself is on the left bank). 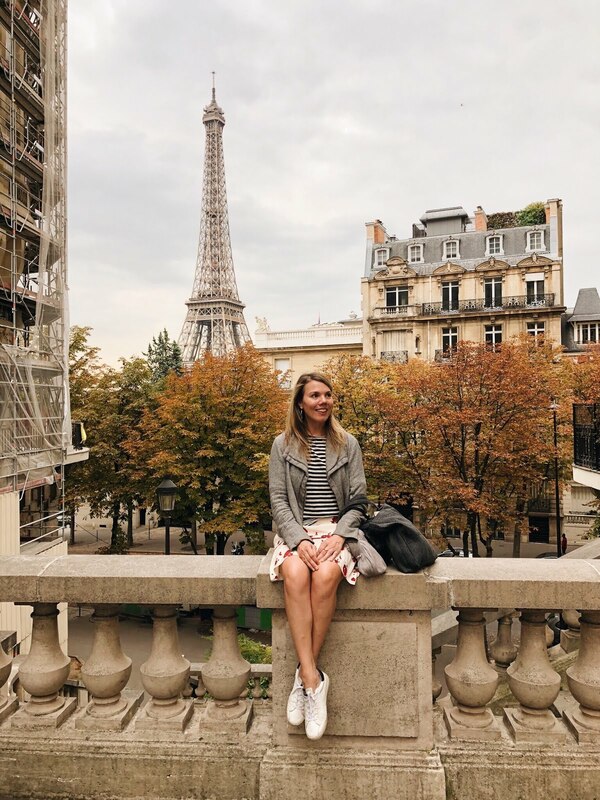 We walked through the Jardins du Trocadero for the ultimate photo opp, then decided to head back to our hotel before dinner. Note: while Paris itself is very walkable, the Eiffel Tower is kind of far away from everything else, so getting there takes quite a bit of time—having the metro pass was key. For dinner, we actually planned ahead and made reservations at Le Chateaubriand, which has a tasting menu and came highly recommended by nearly every website and guide book we came across. The food was good overall, however some courses were better than others, and to be honest, I was not a fan of the nautral wine pairings (natural wine is a big thing in Paris, and while some are interesting, I find most to be a bit too funky for my taste). It was here that I came to the conclusion that when it comes to French food, I prefer the classics. To end the night on a high note, we Ubered to The Ritz, which I hadn't been to since its huge renovation a few years ago. 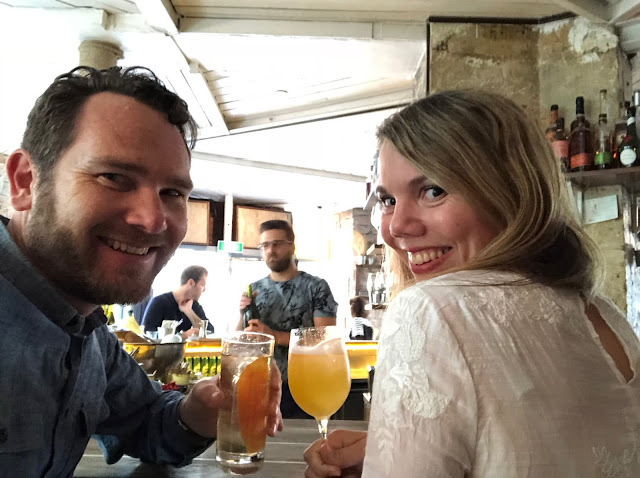 We had 30-euro drinks at Bar Hemingway, and while it was decadent, it was also fun. Also, I am obsessed with the hand lotion in the restrooms there; if anyone knows what it is, please let me know! Since we only had a few hours before our train to Burgundy, we set out with a goal to hit the Musée de l'Orangerie in the Jardin des Tuilleries by the Louvre. We also had to do a photo shoot, so we figured we'd do it along the way. 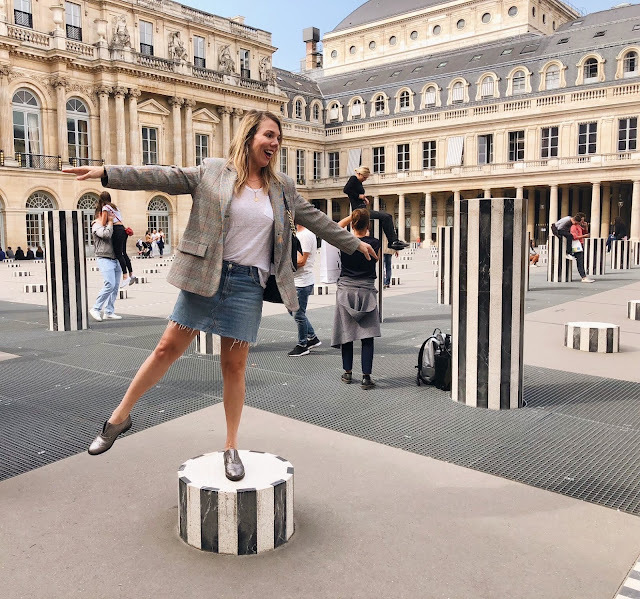 We wandered through Le Palais Royal and all the various little galeries and charming streets of the ritzy 1st arrondissement...and realized we were running out of time. So instead, we had a late big breakfast at Claus, which ended up being one of my favorite meals of the trip. Next time, Musée de l'Orangerie! 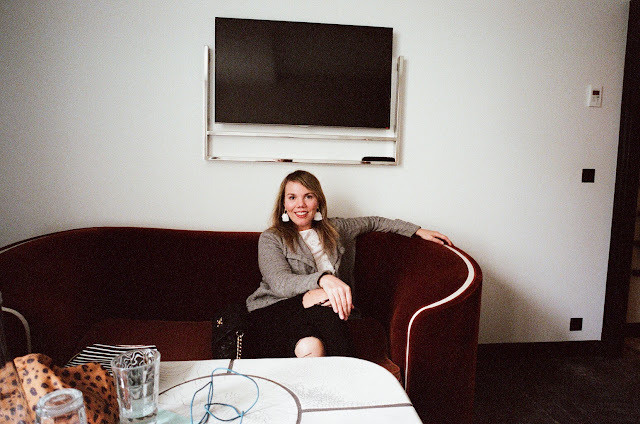 I am an enthusiastic member of the Starwood Hotels Preferred program (which has since merged with Marriott), so we used points to stay at Les Bains, which is a little jewel of a hotel that used to be an infamous nightclub and concert venue. We had a perfectly sized room with a small terrace and sitting area, and the location was central to everywhere we wanted to go. As I mentioned in my last post, it has a signature scent—they actually have bottles of it in the hotel room for you to use—that was so good, I bought the candle version, and bonus: they have Le Labo Santal 33 toiletries that smell like heaven. It also had the most gorgeous flowers in the lobby, and everyone who worked there was warm and welcoming. I'd definitely recommend it! Wow! You squeezed a lot into 2 days! I haven't been to Paris in years. It was fun to see all your photos! Gorgeous photos dear! 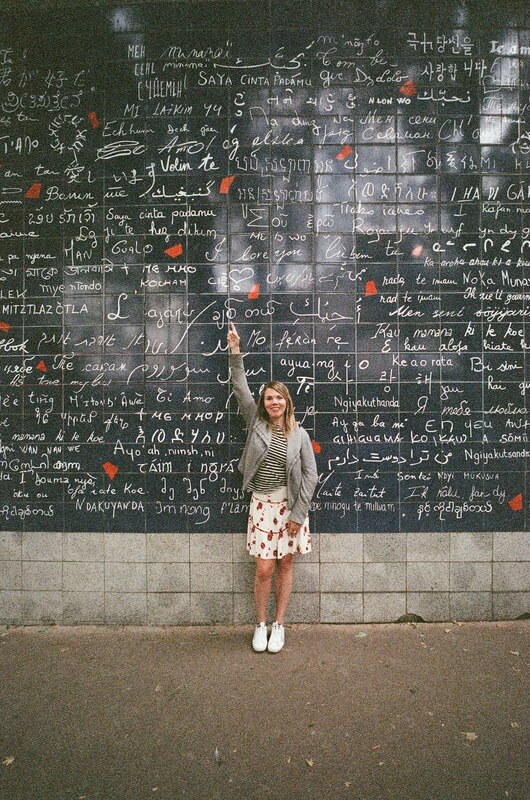 You really can't run out of beautiful things to take pictures with in this romantic city! My husband proposed to me in Paris! :) I haven't been back, but would love to someday! Oh, all of that food. Delicious. You got some great photos by the Eiffel tower. Ahhhh I want to go to Paris so badly! This just looks amazing. What a whirlwind of a trip! You did cover a lot of ground in a short time. 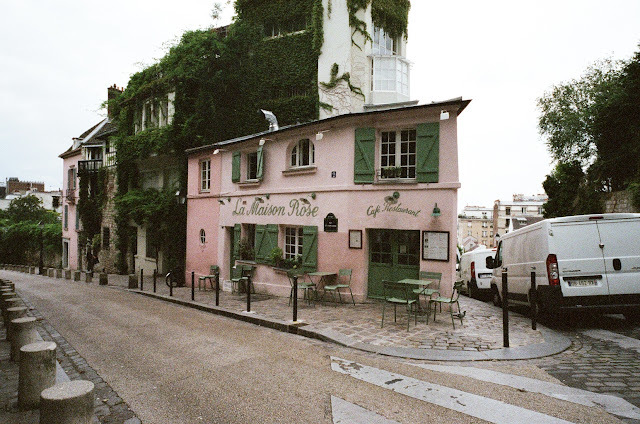 I spent my junior year in Paris and never saw that pink restaurant near Montmartre! I might need to revisit some day! Bon voyage for the remainder of your vacation! You managed to fit so much into your 48 hours, even if you didn't get to everything you had planned! I've never been to Paris, but I hope to visit someday! In pictures it looks beautiful! Lovely photos! Paris is definitely wonderful city in the world have a nice trip dear.. I love Paris, it's my favourite city and I've been quite a few times but however long I go for it's never long enough! Last time we also went to Burgundy for a few days to stay with friends. 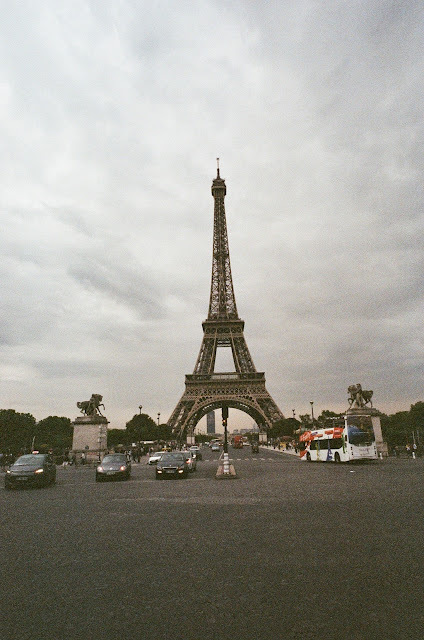 I really need to go back to Paris soon...I have withdrawal symptoms!